I hope everyone is having a Great Saturday so far! It's been such a long couple of days. We are all here with my father-in-law, the military even flew my husband here from his deployment to say his goodbyes to his father. I suppose it's just a matter of a waiting game. Plus, the medicines they are switching him to with make him less lucid. So it's good that we get to talk to him before then. You have until Saturday, February 6th at 2AM Central time, to link up your creation to get entered into the giveaway this week. When uploading to online galleries please use code HIMCR236. Oh, so many HIMCR Winners!! It's Wednesday and a very busy one it has been! We just found out that my father-in-law who has been suffering from kidney failure doesn't have much longer. So the family is gathering to say their goodbyes. We are packed and heading out in the morning. So please winners don't worry if I don't right back to you. Give me at least 10 days to get home and coorespondence done. I will post the giveaway then follow it with the winner! 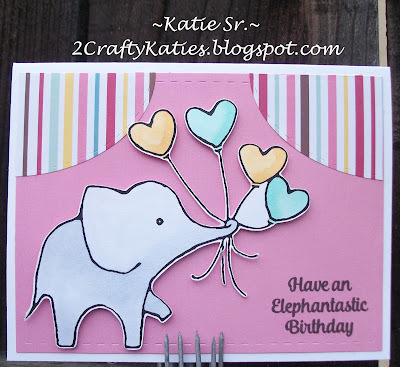 The giveaway is a $15 gift certificate to Paper Temptress! 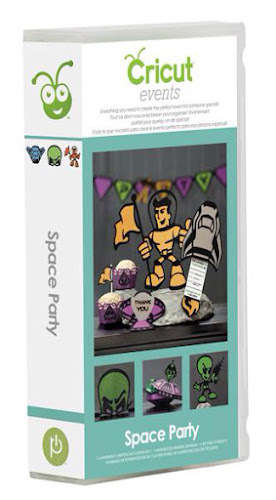 A Space Party Cricut Cartridge!!! A Cuttlebug embossing folder set!! 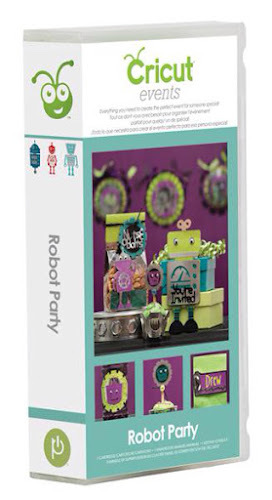 A Robot Party Cricut Cartridge!!! 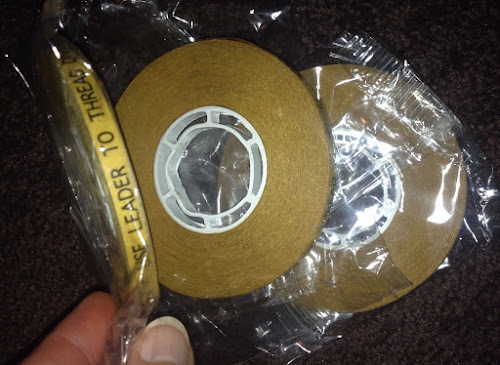 These are from The Tape Depot! A fun little bundle of crafty goodies! CTMH Stamp set Family is Forever! The 10th giveaway is an $8 gift certificate to A Day for Daisies!! A collection of 12 gift boxes! 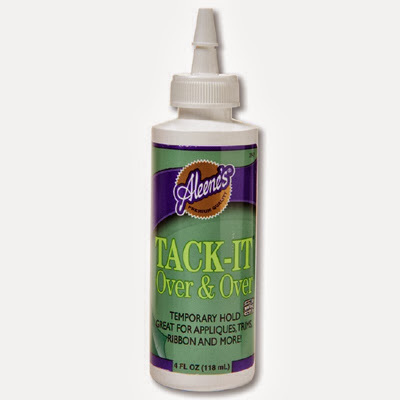 This giveaway is a bottle of Aleene's Tack-It Over & Over Glue! 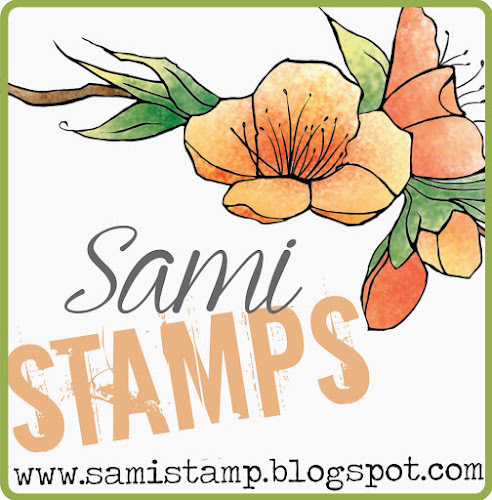 The sponsor for this challenge is Sami Stamps! The giveaway is a $12 Gift Certificate to Sami Stamps! Thanks for all the comments! It's been fun getting to know each of you a little more through them! And thanks to our wonderful sponsors that make this so much more fun! 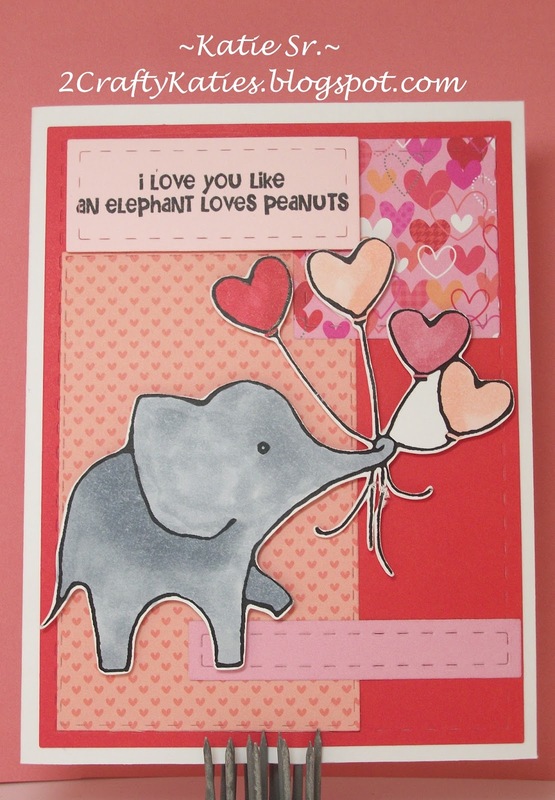 I didn't make this card for my husband but it's been exciting to think about Valentine's Day because it's finally a holiday that he will be home for or at least he was suppose to be home for! With all the snow all flights are being delayed which means his replacement is delayed which means he's delayed. Oh well, it's just one of those things! Click above to take to you the actual challenge and linky to get yours entered! 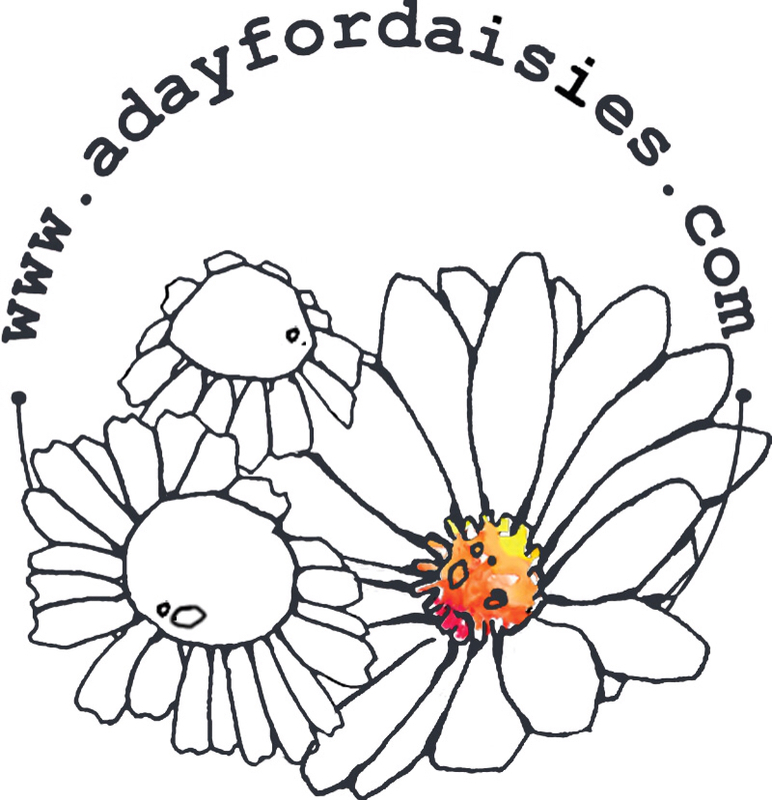 The sponsor is A Day for Daisies! 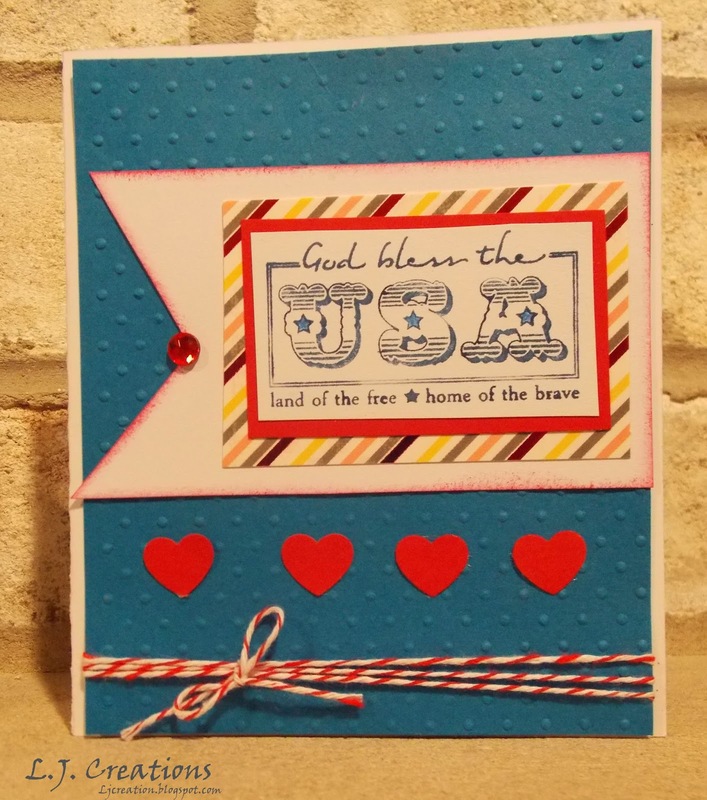 Card front: Stampin Up 4 1/8" X 5 3/8", DCWV the dots, stripes, & plaids stack (which I used one of each! 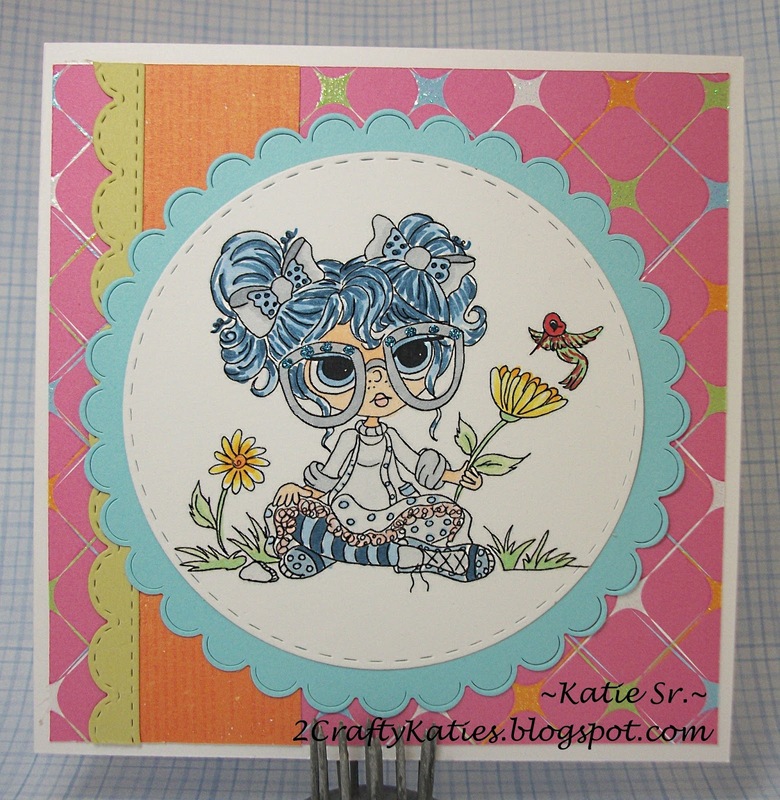 LOL) 4" X 5 1/4"
Other Cardstock / Paper: more from DCWV stack! I haven't done a Mojo Monday challenge is like forever!!! 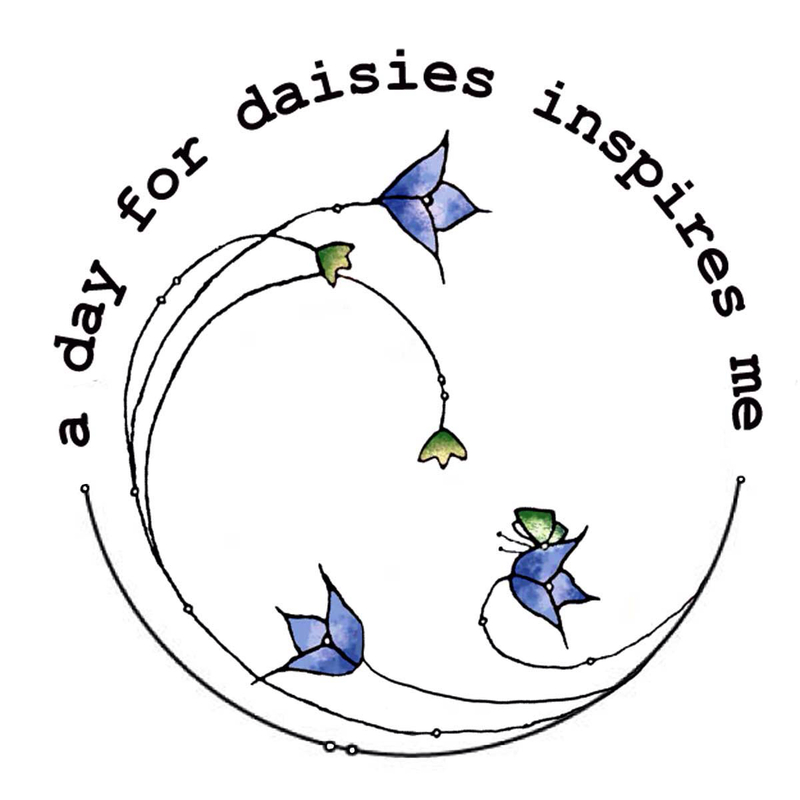 That was why I started a blog in the first place - to enter Mojo Monday challenges! So I decided to get back to my roots this week! I really enjoyed this sketch, #431. 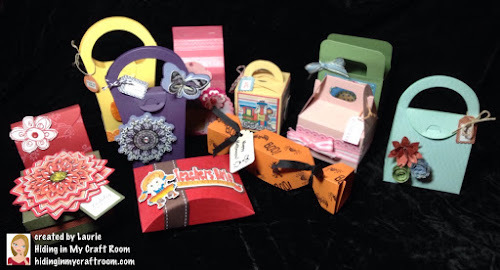 Every fourth Saturday here at HIMCR we get a chance to do either a current Holiday, scrapbook a past Holiday (We love to see Halloween from 2005! 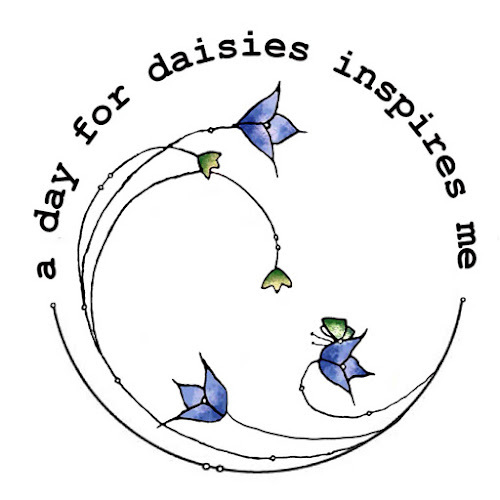 ), or work on an upcoming Holiday! I work on Christmas cards year round! 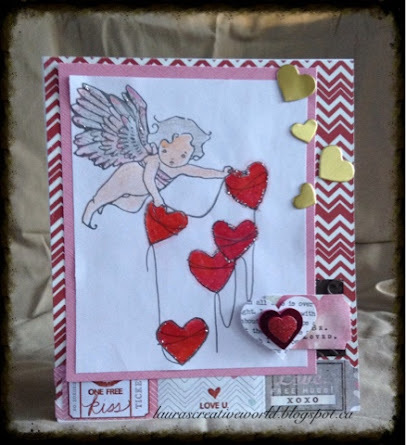 You have until Saturday, January 30th at 2AM Central time, to link up your creation to get entered into the giveaway this week. When uploading to online galleries please use code HIMCR235. 12th Giveaway to Celebrate New Year! It's finally time that I got this last giveaway posted! At least it's still Janurary! 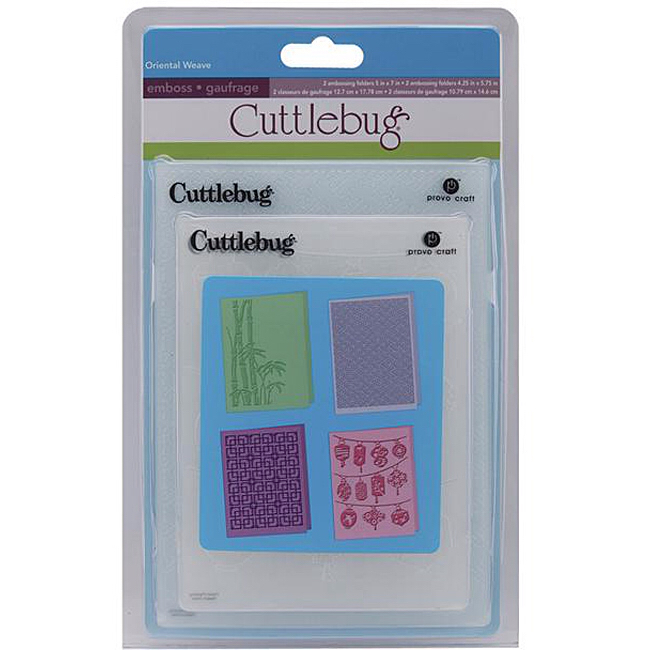 I use this for my method of getting my Cricut Mats Sticky again and now I also use it on my Scan 'n Cut mats as well! 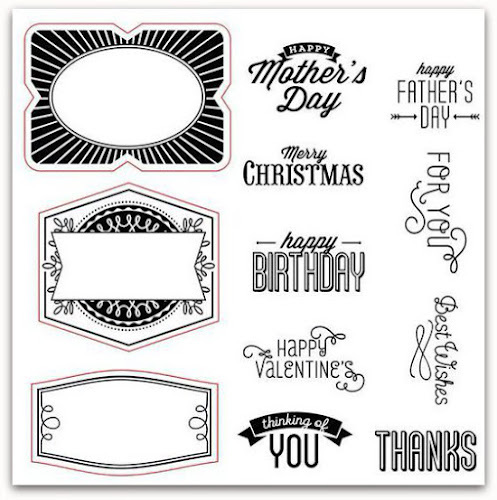 I started using it back when I was making my daughter's wedding invitations and was cutting out 500 St George Temples! Not to mention that while I loooove my Scan 'n Cut machine those mats need some help! They aren't sticky enough to begin with and if you happen to get one that is it's sticky is gone QUICKLY! 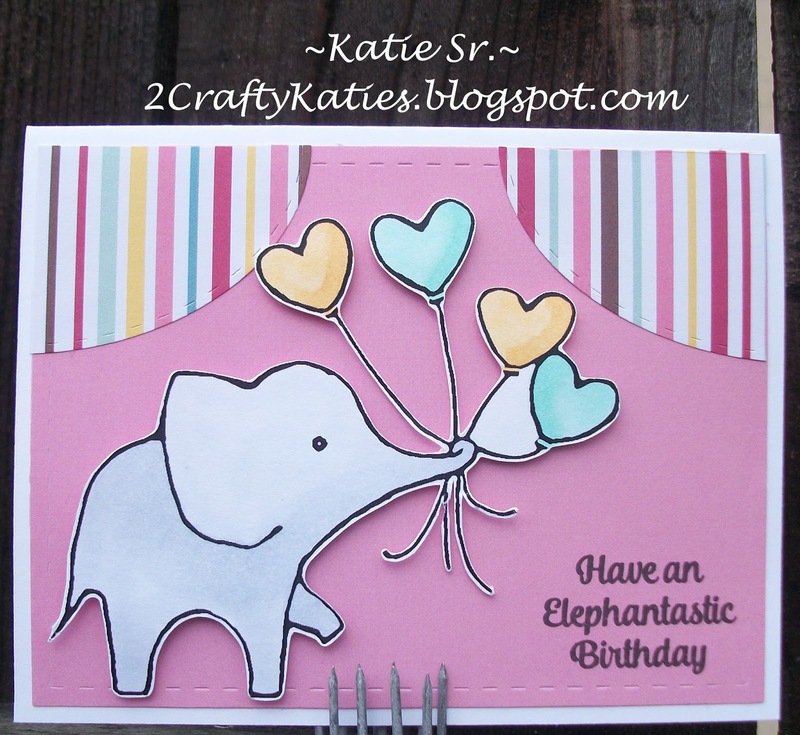 I also use this when removing my rubber stamps from the wooden blocks! Same mixture! The solution I use it 1 to 1. So equal parts of Aleene's Tack-It Over & Over and water. It's not a perfect recipe as I rarely measure even when cooking unless I'm baking. If your doubting your measurements I would add more water. 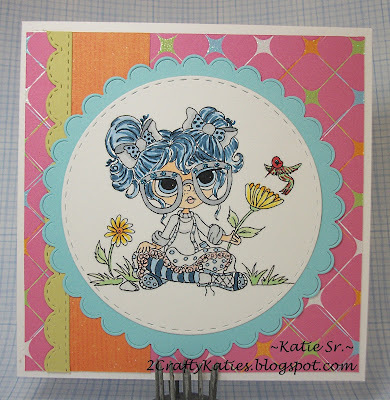 It's easier to add more glue and go over your mat again if it's not sticky enough than it is to remove too much sticky! AND DO NOT use the glue without diluting it! I had a reader do that. Yes, it has to be that glue! No other glue will work! 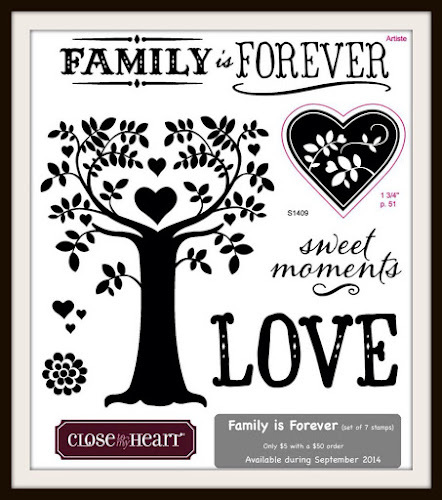 I find it at JoAnn's or Michaels but not every one I go to has it in stock or carries it. If you ask someone that works there about it they will look at you like your crazy! Lol! I've also seen it sold online. You can get it for only $6.30 at Amazon! Click on this link to take you there: Aleene's Tack-It Over & Over. HIMCR is now affiliated with Amazon! YEAH! I know I order I enough from there! LOL!! TIP: After a while it might start thickening up or getting more concentrated and you might want to add a little more water. It still works! When my mats start loosing their sticky about half the time all I need to do is give my mats a could scrubbing with foamy kitchen soap, rinse, let them air dry, and they are back to usable! This gets the debris and bits of paper off and reveals the wonderful sticky again! Other times I just add the sticky solution following the video below. I do get asked about 'cleaning' the mats. You know, getting all the gunk completely off and making it completely unsticky. A little of the residue or discoloration doesn't bother me. They might look old but they work better than NEW! Buuuut, if it bothers you then you can use any glue remover to throughly clean it then apply sticky solution. Let me warn you, it is messy and don't get it on the carpet. Learned that the hard way. I just used goo gone and the scraper in the Cricut Essentials tool kit but I wish I hadn't, it's still a little sticky. I wish I had used instead a pampered chef scraper. I have so many of those, I wouldn't mind just throwing it away afterward. TIP: I like to keep a mat that has lost its sticky somewhat for thinner papers. Here's a video I did soooo long ago and it feels so outdated now. To get entered into this last giveaway is leave ONE comment on this post sharing how you will use Aleen's Tack-It Over and Over Glue! Since this is the last giveaway Celebrating 2016 I will post all giveaway winners next Wednesday when we post our challenge winner!! 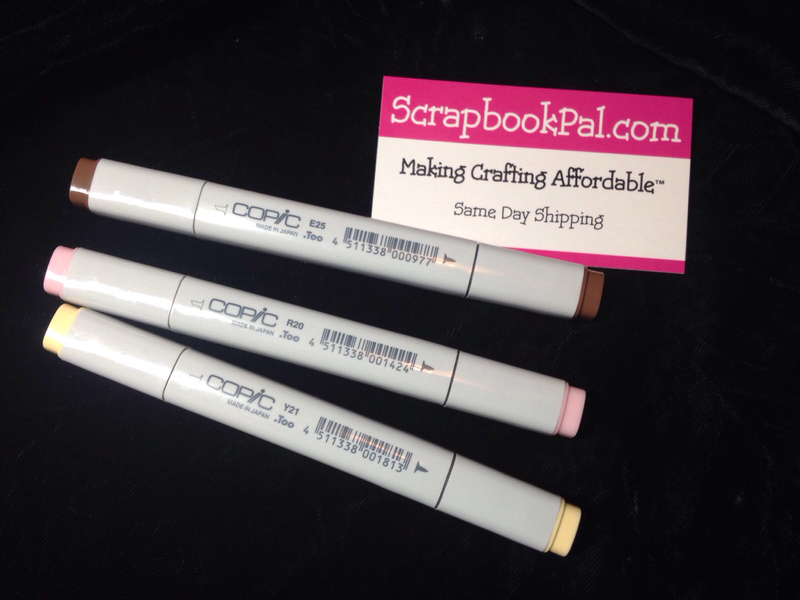 Be sure and leave comment on the other 11 giveaway too to get entered before then! Another week has gone by and I'm that much closer to being reunited with my husband!!! 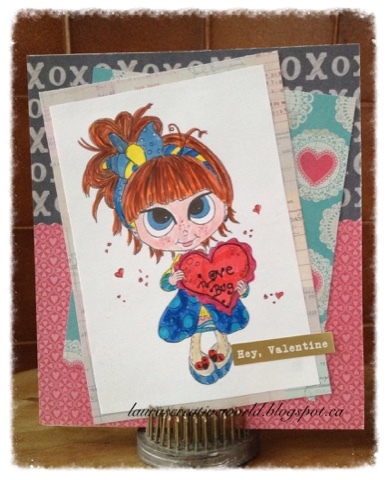 So it's with great pleasure that I announce this week's HIMCR challenge winner! 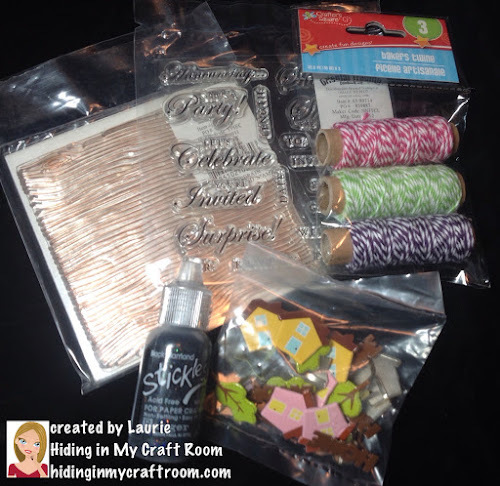 HIMCR #233 - Super Scraps Saturday! 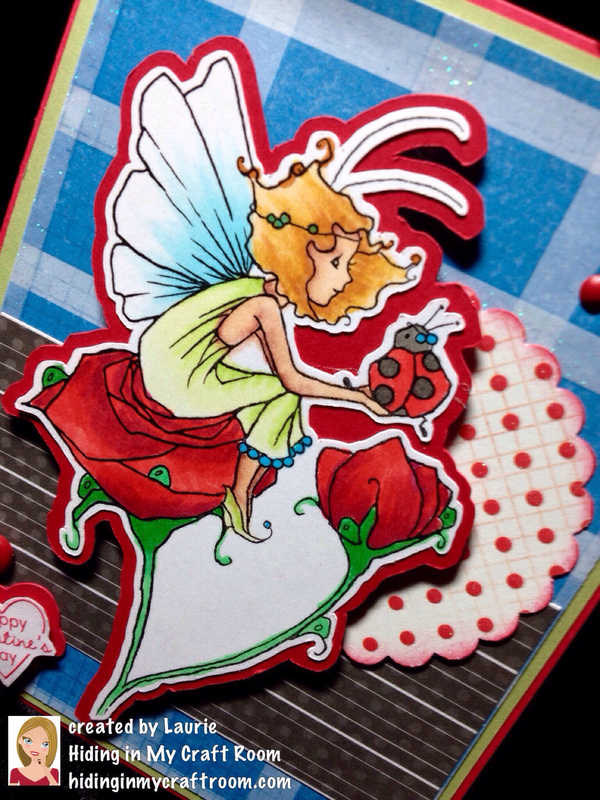 The sponsor for this challenge is Robyn's Fetish Digital Stamps and More! The giveaway is 3 images from Robyn's Fetish, winner's choice! Congrats to our HIMCR winner this week, Dawn! Please use the 'Contact Me' button before next Wednesday to send me your email and claim your prize. Thank you to everyone for all the great entries! And thanks so much to Robyn's Fetish for sponsoring our HIMCR challenge! We are so glad to have you this year!! 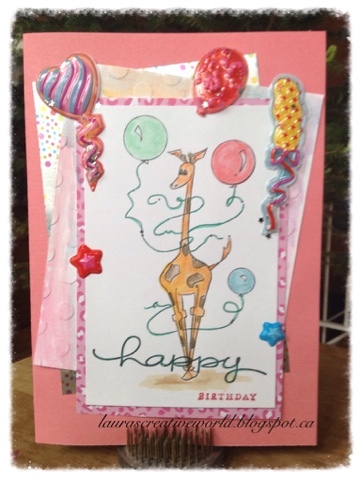 Today we have a fun little challenge for you! 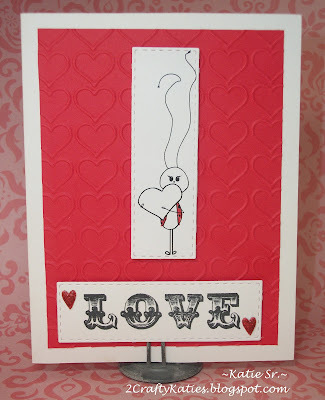 This can be dry or wet embossing or use a stylus and create you own! 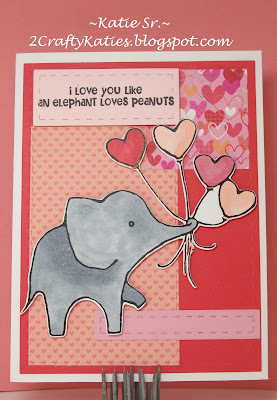 Or you can even use pre-embossed paper! Just have fun!! We want all to be able to play along! You have until Saturday, January 23rd at 2AM Central time, to link up your creation to get entered into the giveaway this week. When uploading to online galleries please use code HIMCR234. 11th Giveaway of 12 Days of Giveaways! Giveaway #10 of 12 Giveaways! Day 9 of 12 Giveaways! Day 8 of 12 Giveaways! Giveaway #7 of 12 Days of Giveaways! Day 6 of 12 Giveaways! Day 5 of 12 Giveaways! Day 4 of 12 Giveaways! Day 3 of 12 Giveaways! Day 2 of 12 Giveaways! HIMCR #232 - Black & White + 1! Day 1 of 12 Giveaways!